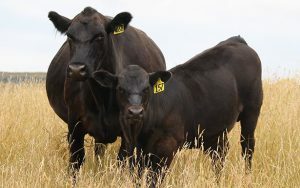 In partnership with Animal Breeding Services over the last 15 years we have fine-tuned Fixed Time AI in beef cattle, carrying out thousands of AI's annually both within our recorded herd and on commercial farms throughout NZ. The fastest and most effective way to accelerate the genetic gain of your commercial herd is to AI your herd to the proven high $Profit bulls. We can now offer this AI service to commercial beef farmers throughout NZ and welcome enquiries on how you could implement an AI program on your farm. For a little effort you can get access to the very best genetics for the same investment as a good commercial bull, without having to compete with stud breeders at auction!